On 28 May, Filipino vapers gathered in Quezon City for their 1st Harm Reduction Summit organized by The Vapers Philippines. A Kiwi resource person provided evidence and promote e-cigarettes as a safer alternative to regular cigarettes. Barely two months ago an explosion of a Philippines-made e-cigarette in the US resulted in 2.6 million units of Vuse Vibe being recalled from the stores. The vaping device, made by Smoke-E Mountain Mech Works in the Philippines is reported to be unregulated. Though there have been other local cases of e-cigarette device explosions, no recalls have been made in the Philippines or elsewhere in Asia. Instead vapers are stepping up promotion of the benefits of e-cigarettes. The Filipino vapers readily spew information fed to them by foreign proponents of e-cigarettes, some of whom come from the tobacco industry. These resource persons do their rounds in the ASEAN countries. A tobacco industry sympathiser who was at the Quezon City summit is Heneage Mitchell, a smoker for 40 years and previously the managing editor and co-publisher of a tobacco industry publication. In April last year in Manila, he referred to e-cigarettes as a “life-saving” product, ignoring the fact he promoted the harmful tobacco industry for many years. The Vapers Philippines have launched attacks against those who stand in their vaping ways. In November 2016, they drummed-up negative press vilifying the Chair of the Civil Service Commission (CCSC) for the strong position the Philippines delegation took to regulate e-cigarettes at the seventh session of FCTC Conference of the Parties (COP7). The Philippines delegation’s position on e-cigarettes was based on evidence from the World Health Organization. Meanwhile e-cigarette manufacturers appear to be following the business manual of the tobacco industry. 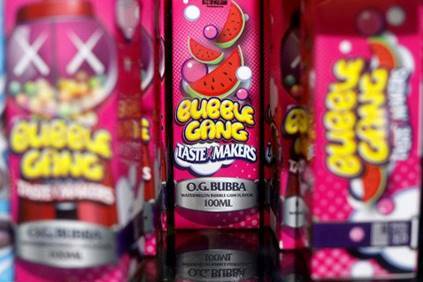 Just as tobacco companies target minors for cigarettes, vape manufacturers are also targeting youth with flavours appealing to them. Juul, a relatively new e-cigarette product that looks like a USB drive has skyrocketed in popularity among youth across the US. It is the latest teen vaping fad where the design looks sleek, high tech and easy to conceal, and has become popular with minors and college students. Juul is available in sweet flavors that appeal to youth such as mango, fruit medley, crème brulee, cool mint and cool cucumber. Research has shown that flavors play a key role in youth use of tobacco products, including e-cigarettes. The US FDA has stepped in to address the dramatic rise in youth use of Juul e-cigarettes. According to the Campaign for Tobacco Free Kids, Juul appears to deliver nicotine more quickly, more effectively and at higher doses than other e-cigarettes, increasing users’ risk of addiction. The manufacturer claims each Juul cartridge of nicotine liquid (called a “Juul pod”) contains as much nicotine as a pack of cigarettes (about 200 puffs). However, research has found that many Juul users don’t know the product always contains nicotine, and many teens call use of the product “juuling,” indicating they may not realize it is an e-cigarette or tobacco product. In the latest move, San Francisco has voted to ban the sales of flavored tobacco products, including vaping liquids packaged as candies and juice boxes, and menthol cigarettes and resisted against a $12 million advertising campaign by R. J. Reynolds Tobacco Company. This is the same tobacco company that recalled the exploding Vuse Vibe from the US market after the death of the vaper. 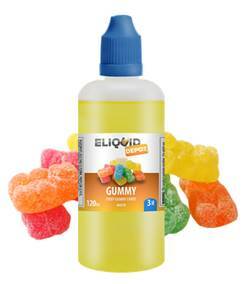 Advocates supporting the ban pointed to some 7,000 products, including those with flavors said to be particularly alluring to young users like bubble gum, chicken and waffles, and unicorn milk. E-cigarettes are not harmless. With each passing month, more information on the harmful effects of e-cigarettes are emerging. The most recent case is that of a teenager who developed ‘wet lung’ after vaping for just 3 weeks. E-cigarettes are as damaging to pulmonary structures as traditional tobacco cigarettes.